Bring a fresh sleek style to your look with the Trendsetter Gunmetal Plated ID Bracelet from Nomination. This bracelet is crafted from gunmetal PVD plated smarty links, with a plaque across the front, etched with Nomination. Tell your very own story with Nomination jewellery. 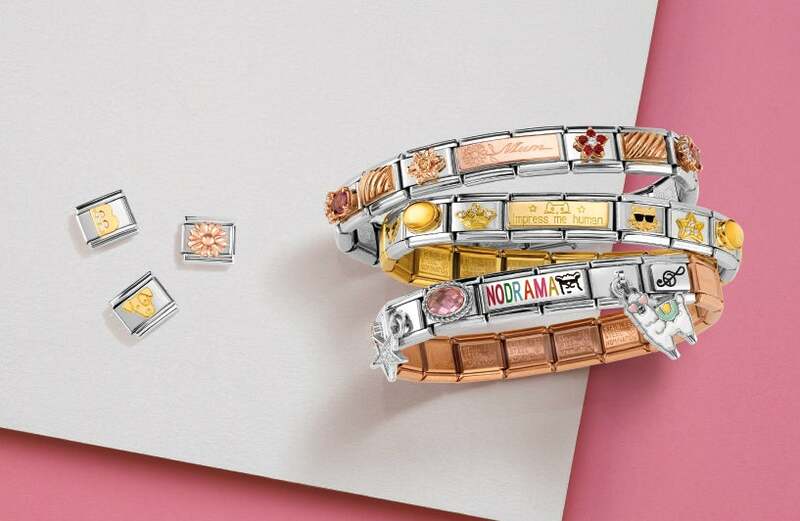 Life is made up of special moments and what better way to remember them than by creating your own bespoke bracelet? Discover charms, bracelets and more from this classic Italian Jewellery designer. Creator of one of the original charm bracelet concepts, Nomination offer a huge selection of charms and jewellery, handmade in Italy. https://www.johngreed.com/nomination-trendsetter-gunmetal-plated-id-bracelet 129570 Trendsetter Gunmetal Plated ID Bracelet https://www.johngreed.com/media/catalog/product/n/c/nc4039_0_2.jpg 50 50 GBP InStock /Men/Men's Gifts/Recipients/Gifts for your Husband /Men/Men's Gifts/Recipients/Gifts for your Boyfriend /Men/Men's Gifts/Recipients/Gifts for your Dad /Men/Men's Gifts/Recipients/Gifts for your Son /Men/Men's Gifts/Occasions/Valentine's Day Gifts /Men/Men's Gifts/Occasions/Father's Day Gifts /Men/Bracelets /Men/Brands/Nomination /Men/Brands/Nomination/Bracelets /Men/Men's Stainless Steel Jewellery /Men /Men/Men's Gifts /Men/Brands /Men/Men's Gifts/Occasions /Men/Men's Gifts/Recipients Bring a fresh sleek style to your look with the Trendsetter Gunmetal Plated ID Bracelet from Nomination. This bracelet is crafted from gunmetal PVD plated smarty links, with a plaque across the front, etched with Nomination.